From six championship rings to 'save the wave,' Larry Sayles has seen it all. Sayles was the "mad man" as the athletic trainer for the Wave. Although his mad men days are behind him, he still loves being a part of the organization. 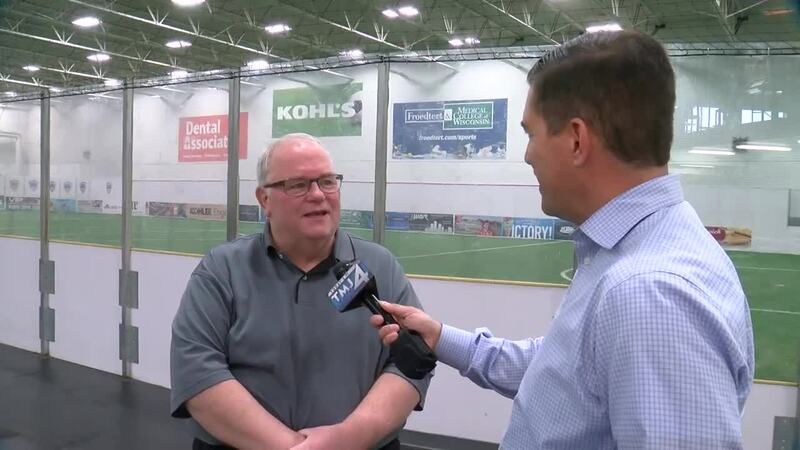 MILWAUKEE -- Athletic Trainer Larry Sayles has worked with the Milwaukee Wave for three and a half decades. "Ups and downs...6 championship rings. Just gotta win one more to stay ahead of Tom Brady," Sayles says with a laugh. Sayles used to be the mad man in his days as an athletic trainer, getting the crowd hyped. "I still do bang on the glass...in my heart," Sayles says. However, he's also experienced the lows. "A lot of guys don't realize we did a save the Wave campaign a few years ago. It was just Head Coach Keith Tozer and me in the office," Sayles stated. Before the Wave, he spent 6 years with Meadowlark Lemon, Curly Neal, and the legendary Harlem Globetrotters. "Because of the Globetrotters...I met my wife here in Milwaukee on New Year's Day. So New Year's Day is my anniversary," Sayles said. "My son Brian is the equipment manager, it's been fun to work alongside him," Sayles says. Yes, almost like a 'Scooby-Doo' cartoon, he taped skis on sneakers and posed for pictures with bobsleds, but it's here in Milwaukee where his dreams came true.